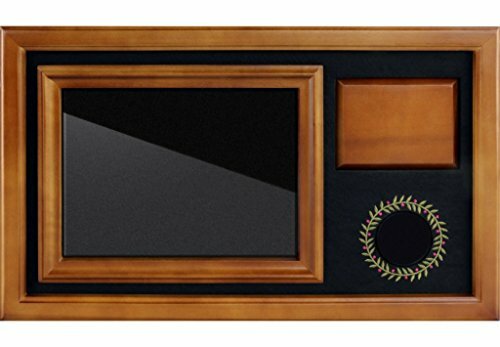 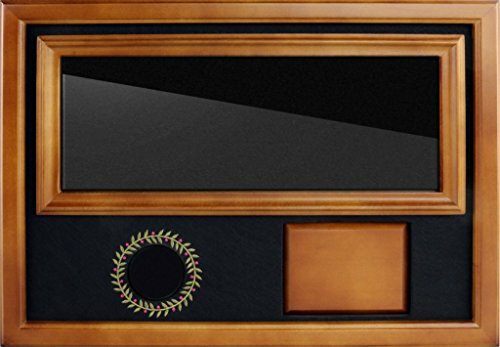 A Hole In One is a rare occasion, be sure to remember it with pride in this beautiful wood frame that prominently displays the ball and scorecard from that special shot. 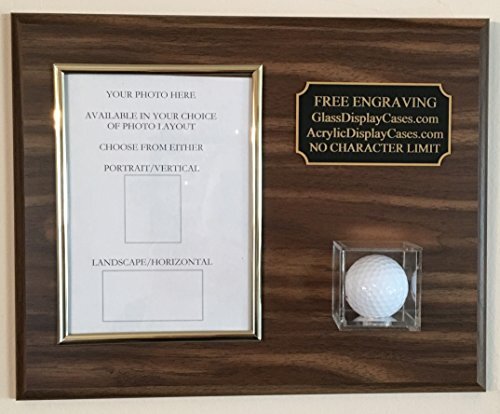 Frame is 15.5" W x 11" H x 1.5" D.
A Hole In One is a rare occasion, be sure to remember it with pride in this beautiful black frame that prominently displays the ball and scorecard from that special shot. 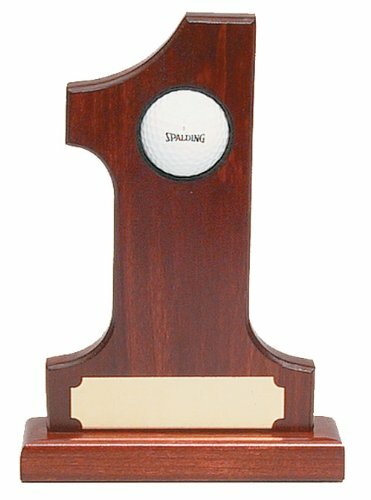 Frame is 15.5"W x 11 H" W x 1.5" D.
This #1 hole in one trophy will look great on your desk or shelf. 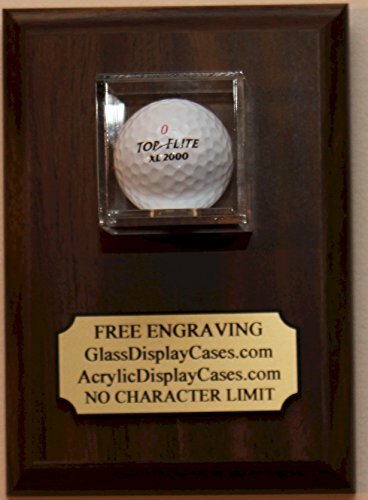 Felt lined hole for displaying your prize ball. 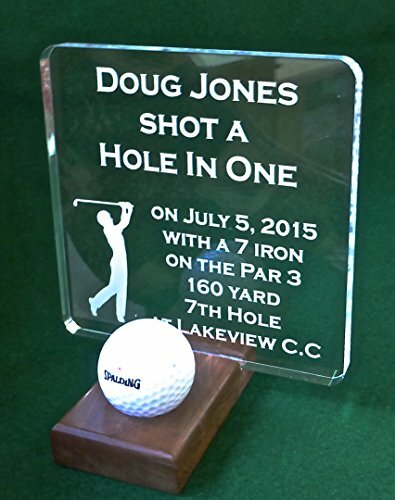 Details of the Hole In One can be engraved on a brass plate. 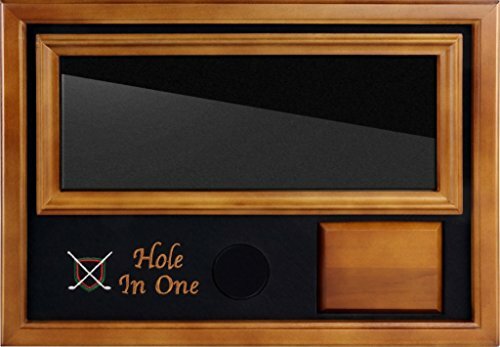 A Hole In One is a rare occasion, be sure to remember it with pride in this beautiful wood frame that prominently displays the ball and scorecard from that special shot. 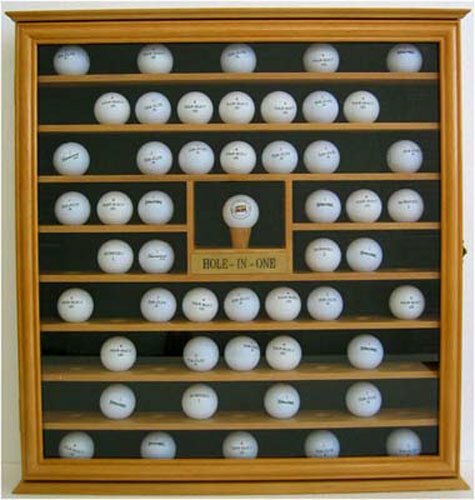 Frame is 15.75"W x 9.25 H" W x 1.5" D.
A Hole In One is a rare occasion, be sure to remember it with pride in this beautiful wood frame that prominently displays the ball and scorecard from that special shot. 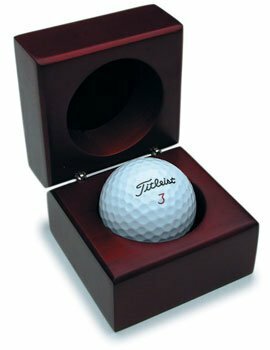 Frame is 15.5"W x 11 H" W x 1.5" D.
Beautiful little box ready for the treasured hole in one ball. 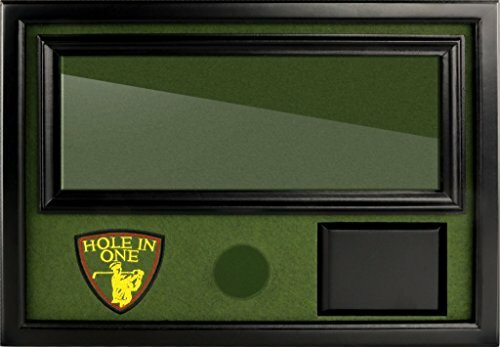 Rory McIlroy PGA Tour - Hole in One!